For the most part, getting around Bangkok is pretty easy. If you’ve never been here before, or you’ve only stayed in the middle of town, then have we got some tips for you! Yes, even if you haven’t been to Bangkok before, you will probably have heard of the infamous Tuk Tuk. These noisy little critters buzz around the city like bees, looking for their next customer. Tuk Tuks are definitely a must do experience for the uninitiated, but for a foreigner in any of the tourist areas be prepared for the “full” experience. It will often begin with a super “friendly” Tuk Tuk driver asking you where you want to go, or asking you where you are from. Once you tell them the destination, they will offer to take you there for a price. This can be anywhere from 3 to 10 times the equivalent metered ride in an air conditioned taxi. Once you have negotiated them down to only twice the price that you would pay for a metered taxi, then you can jump in the back of the Tuk Tuk. Getting around Bangkok in a Tuk Tuk can be dangerous as they zip around the traffic. Some thieves on motorbikes target people in Tuk Tuks, as they swipe your bag as you are travelling along. Make sure you hold on tight and keep your valuables held tight and well inside the Tuk Tuk. 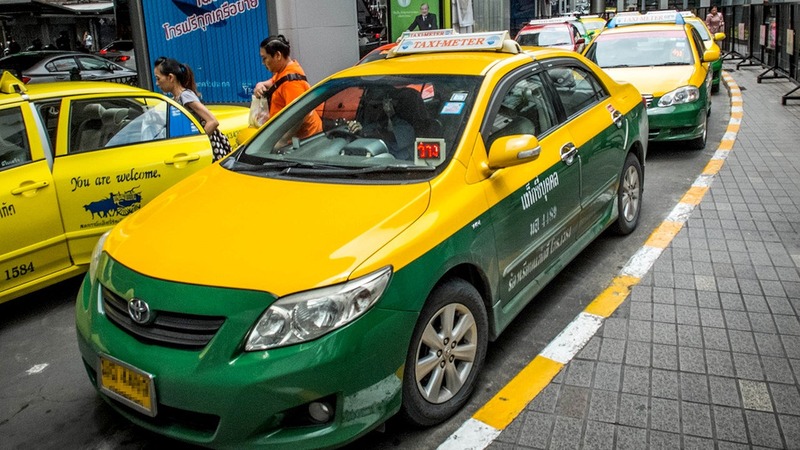 Taxis in Bangkok for the most part are fantastic, so long as they put the meter on for you. It is a more direct way of Getting around Bangkok as it is in an air conditioned car. Again, in the tourist areas, you can often find a few of the more unsavory drivers, who will try to negotiate a price with you. This negotiating will always result in you paying a higher price than you would with the meter on. These drivers are also the same ones who will often try to take you to tailor stores and gem shops. They will sometimes tell you that a particular shopping mall is closed for a holiday. Then have a great recommendation for another destination. Getting around Bangkok to many destinations using the BTS is fantastic, quick and cheap. Not only is it cheap, easy to use, and air-conditioned, it can also skip some of the traffic that Bangkok is famous for. Keep in mind though that during peak hour, the BTS will get packed. If you’re claustrophobic, you might want to give it a miss during these times. 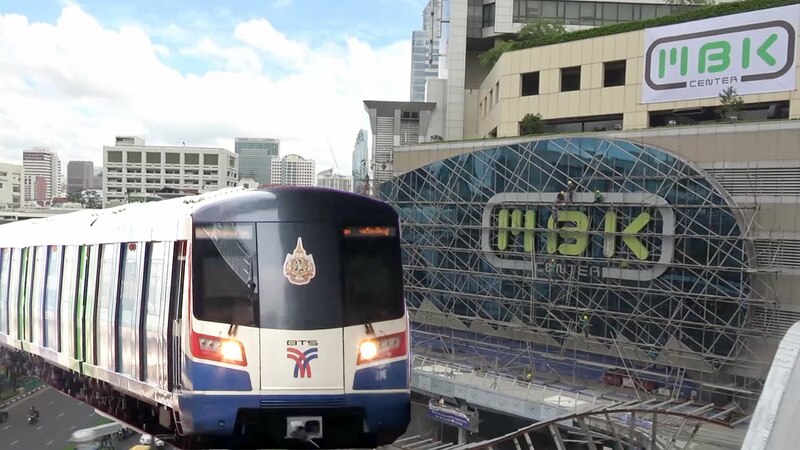 There is just one MRT line that runs underneath Bangkok. 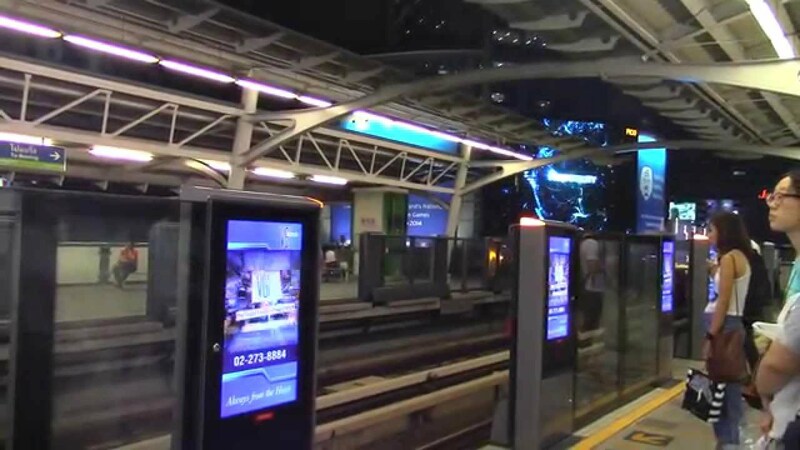 It conveniently intersects with both BTS lines at BTS Sukhumvit station, and also at BTS Sala Daeng in Silom. 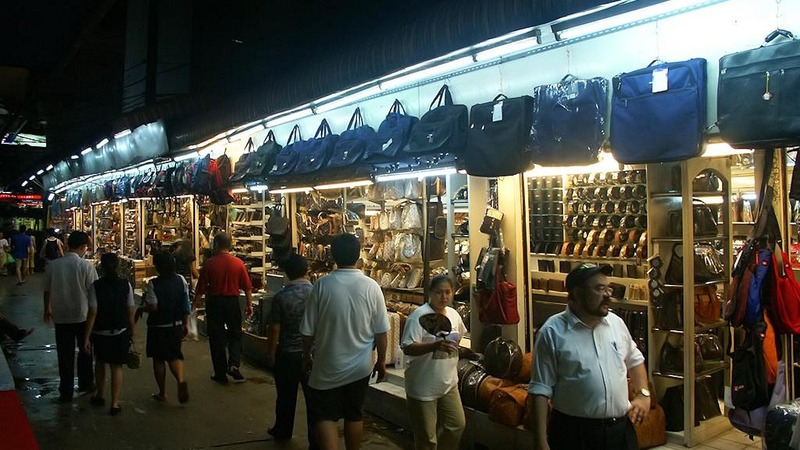 The line is particularly useful for visiting shopping areas like Ratchada and Lad Prao. Like the BTS it is clean, air conditioned, cheap, and very user friendly. 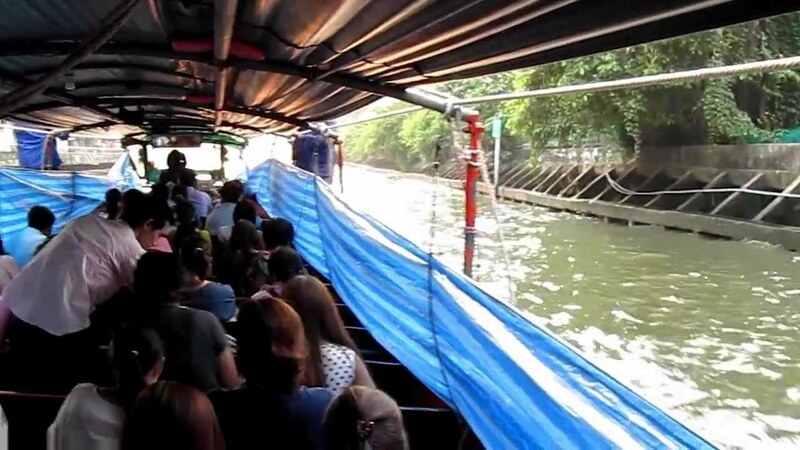 Bangkok has several major waterways, which have super cheap and super quick “taxis”. They are a great way to see another side of Bangkok, but can be difficult for the elderly to get in and out of. 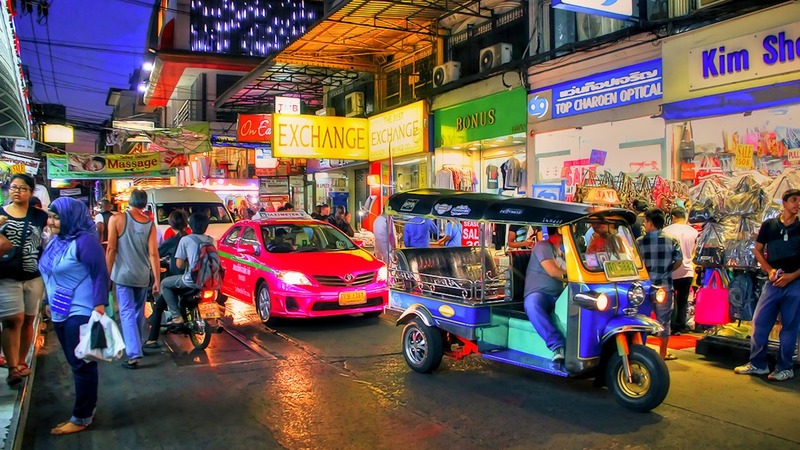 There are several great shopping centers that are most accessible by Khlong Taxi, so get ready to have some fun! To use them, simply go to a pier, and jump on a boat that is going in the right direction. An employee will soon come around and collect the 20-30 baht fee from you on the way. Just be aware that the water is dirty, so do not get any in your mouth. Bangkok is famous for its bargaining. Tourists go back home and brag to their friends about how well they negotiated for that t-shirt in MBK. Outside of tourist areas though, you often find that many markets and shopping malls don’t really do that much in the way of bargaining. Sure you can knock a few baht off here and there, but often they’ll have fairly fixed prices. The good news is that these prices are generally a lot better than what you can bargain for in the tourist areas anyway. They are a better option if you don’t want to play the bargaining game, but still want to get great prices. Any time you do negotiate, please do so with a smile, even if they are clearly offering terrible prices. Making sure you smile is one of the best negotiating tools you have. We have occasionally seen tourists who get quite heated at shopkeepers over a few baht, and it’s just not worth it. In Thai culture, if you get angry, they will actually be embarrassed for you, and feel sorry for you, because you were unable to control yourself. 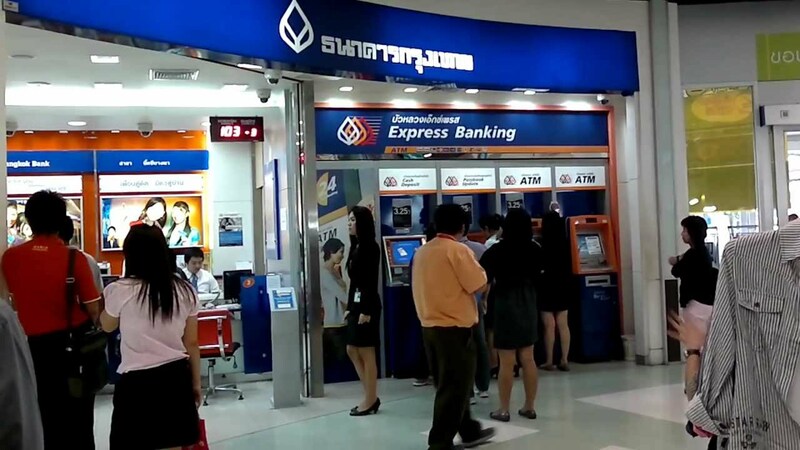 If you are getting cash out from an overseas bank account, most banks will charge you 150 to 200 baht per withdrawal. This fee is on top of what your home bank will also charge you for a cash withdrawal. If you bring cash then it is cheaper to exchange in Bangkok than in your country or at the airport. You avoid all the ATM fees but the security is not there. Travellers cheques are a waste of time, as the fee they charge does not make it worth it at all. It’s easy to find hotels and serviced apartments in Bangkok online. One of the best places to search for superb serviced apartments in Bangkok is Bangkok Serviced Apartments. Or use our Search Box below.